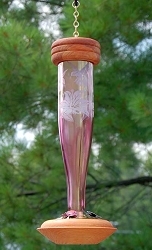 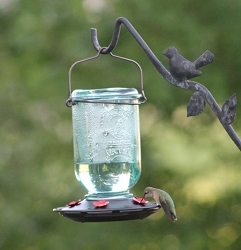 The Hummerbar®, which is filled with nectar, is a 2-foot plastic tube that offers 22 feeding ports and, when compared to other hummingbird feeders, is remarkably easy to clean. 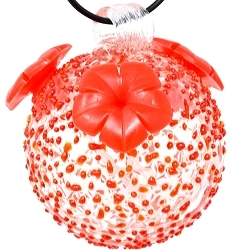 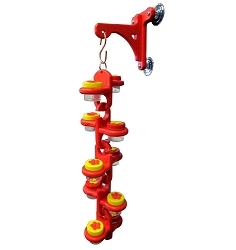 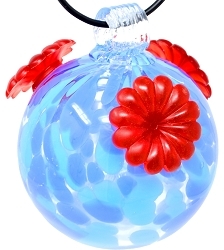 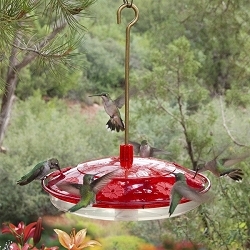 This patented feeder hangs horizontally while still delivering plenty of nectar for your hungry hummingbirds. 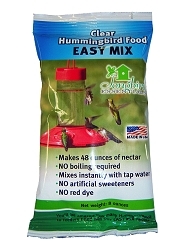 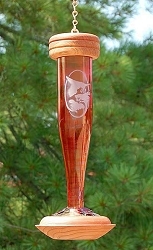 The feeder ports are made out of plastic molded in red, a color proven to attract hummers. 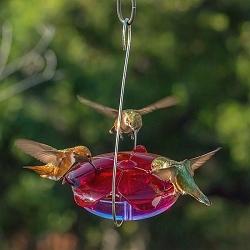 Each port is also spaced just right to allow hummingbirds to feed side-by-side! 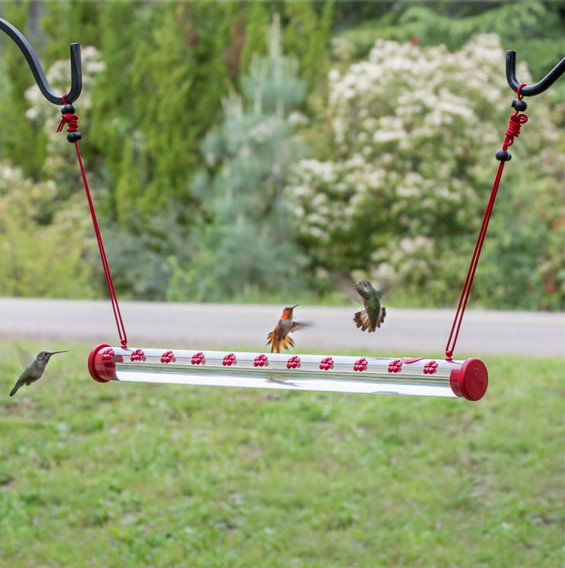 If a 2-foot Hummerbar® isn't enough for your hummers, then try the 4-foot version. 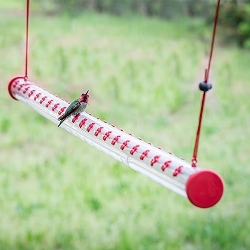 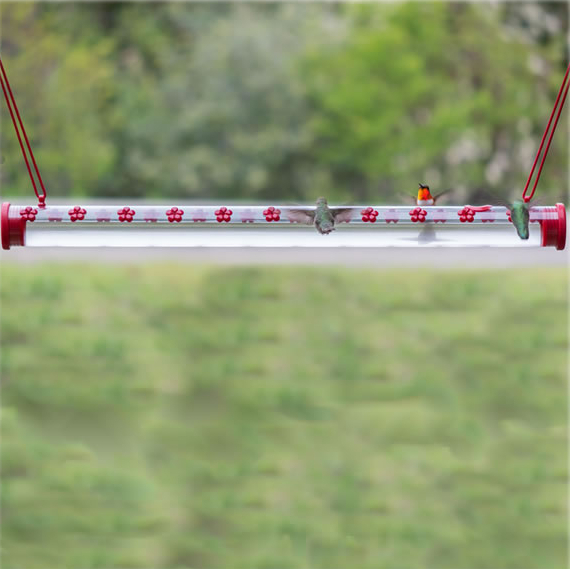 With 44 feeder ports on the 4-foot version, you can feed even more hummingbirds.